I come from a home where there’s an extremely high appreciation of anything pretty (and also anything miniature, but that’s a different post!). My mother has spent years accumulating pretty things and she displays them just about everywhere, from her nightstand (where she keeps a rhinestone-encrusted stapler – she’s also a fan of anything shiny) to an asymmetrical curio cabinet in our great room (filled with Swarovski trinkets). The other day, I went home and a perfume box from a Creed Silver Mountain Water purchase I made 2 years ago when I was still living in New York had somehow survived the trek from NYC to Kitchener, and was now plopped on top of a control panel for the central air in her room. I asked her why this box was sitting in such an obscure spot, and she simply said, “It’s pretty, so I want to look at it,” and this pretty much encapsulates how I feel about highlighters and highlighting as a whole. Highlighting products, powders in particular, tend to be absolutely stunning in the pan, reflecting every bit of light and coming to life when swatched on the skin with your own undertones shining through. Highlighters are a beautiful cosmetic concept; they’re designed to draw attention to what we feel are beautiful features of our faces. Pretty product for pretty features sounds like good sense to me. Read on for some highlighters I adore. I have to start by saying this palette is limited edition for the Holiday 2013 season, so track it down as soon as possible if you think it may be up your alley! 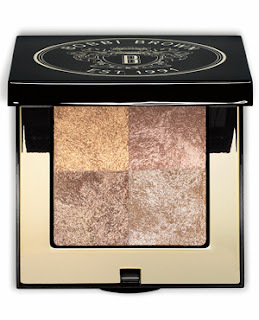 Bobbi Brown is known for many cosmetic accomplishments (lest we forget, this is a lady who started out by being selling her first 10 lipsticks to Bergdorfs – that’s a hell of a place to start one’s brand! ), and her range of Shimmer Brick palettes is no exception. The palettes usually contain 5 powder strips of shade variations of one colour in a noticeably shimmery finish. They’re excellent highlighters for anyone who doesn’t mind a bit of overt shimmer that fortunately doesn’t migrate on the face. This palette is a departure from the usual Shimmer Brick format, since it’s in a quad format (gold, rose gold, silvery quartz, bronze), much more finely milled and has more of an incandescent, lit-from-within sheen than an outright shine. As soon as I tried it, it became a new favourite, and I highly recommend it to anyone who is afraid of discoball shimmer, because that’s so not what this palette is about. Bonus: the 4 shades in the palette can double as eyeshadows. Becca Cosmetics is an Australian brand that’s been making headway in the North American market in the last year or so, increasing their distribution through Sephora doors. I first saw the fluid Shimmering Skin Perfectors touted by Lisa Eldridge as a brightener and primer of sorts to be worn under foundation. 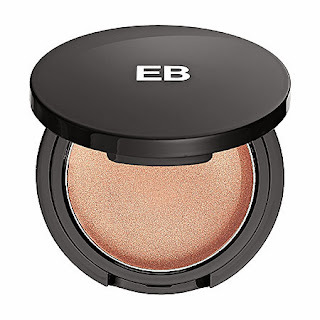 The pressed powder versions that have recently launched are definitely more traditional powder highlighters best worn as a finishing touch to the face. I had an absolute fit when I saw this version pop up on sephora.ca and ordered it immediately. 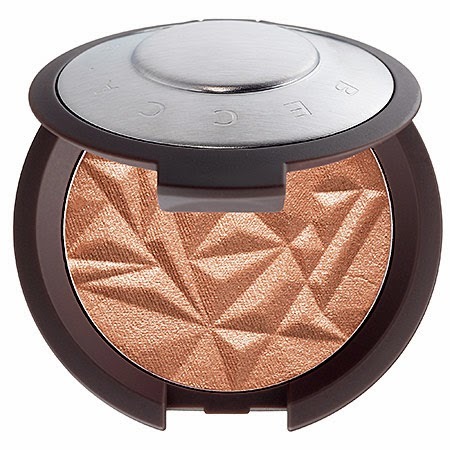 This is also an incredibly soft powder (a dab’ll do for both cheeks), and the shimmer is a bit more apparent to the naked eye, but who isn’t still in love with all things rose gold? It’s like candlelight that just happens to be lighting up your face all damn day. Get into it. This champagne cream-to-powder formula is so neat. Literally. It’s tidy. 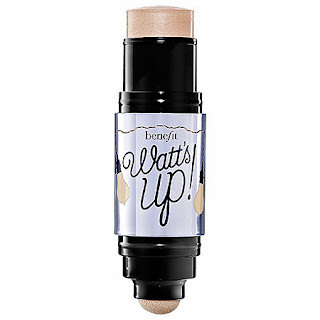 I say this because it’s a fine shimmer formula and it also offers a degree of control since it’s a cream formula, so it really does go precisely where you apply it (this can be a downside to powder highlighters, so consider this in your highlighter hunt). I didn’t try this until this past May, when I, much like many of you, received this as a part of my Sephora Beauty Insider birthday gift. I was initially skeptical of the colour, because I thought it may be ashy on me since it’s a fairly light colour, but it was warm enough to work and it’s excellent for cheeks and highlighting the Cupid’s bow and tear ducts. A great shade for lighter skintones! I first heard of Edward Bess from none other than The Beauty Look Book. 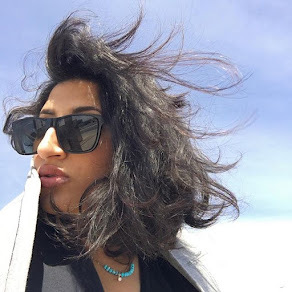 Sabrina is one of my favourite beauty bloggers that I have been following for years and her taste level is super refined, so I admire her purchases and they often spur my own buys. I nabbed this up from Bergdorfs when living in Manhattan and the tiny black compact packs a lot of golden luminous sheen that lasts all day, doesn’t feel greasy and doesn’t sit on top of skin since it’s a cream texture that heats up and melds with your skin thanks to your body heat (yay for having a pulse!). This one’s particularly glam during summer months, but to me, winter is when you need luminosity the most so have at it, y’all! Disclosure: This post contains product(s) sent from the company or their PR team for editorial consideration. For more information, please click here.